Time for a Spring Cleanse! Home/Blog, Uncategorized/Time for a Spring Cleanse! Spring is probably the most anticipated season of the year. We begin to awaken from our sluggish winter stupor and gradually begin to rise earlier with the brighter, light filled days. According to Traditional Chinese Medicine, spring is ruled by the wood element and governs the liver and gallbladder. The color we naturally associate with spring is green. If we live in harmony with the seasons, we will naturally be drawn to the fresh greens we are seeing sprouting up in gardens and market produce stands. The liver is the largest and one of the most important organs of detoxification in the body. It is barraged with many toxins from the food we eat to environmental pollutants. Everything must be filtered and detoxified by the liver. Is it any wonder why so many people feel sluggish and tired upon waking and need a serious shot of ‘java’ to get going for the day? The power of liver energy is strongest during the spring months and if we support and cleanse it at this time we will be rewarded with renewed energy and vitality. There are many things we can do to help clean and detox the liver. The best place to begin is with a 7 to 10 day cleanse depending on your personal needs that will help rid the body of accumulated toxicity and fat stored during those sedentary winter months. Just as we do a deep spring cleaning in our homes at this time of year, doesn’t it make perfect sense to cleanse the body too? Beginning by eliminating all processed ‘white’ foods is a great place to start. I would highly recommend sticking to a totally plant based diet for the duration of your cleanse. The optimal focus should be on fresh organic greens like kale, spinach, asparagus, green beans and artichokes. A great way to enjoy greens is to lightly steam them and drizzle with olive oil infused with fresh garlic and a dash of Himalayan or Celtic sea salt. Adding baked sweet potatoes will help satisfy the need for carbs. As fresh local lettuces become available, salads made with baby greens and dandelion shoots dressed with a lemon and olive oil vinaigrette makes a superb meal. Another very helpful change would be to eliminate all gluten, soy and dairy. These are known allergens that can cause inflammation and congestion in the body making it sluggish and bloated. Many of us suffer from food intolerances that suppress optimal immune function and drain us of vital energy. 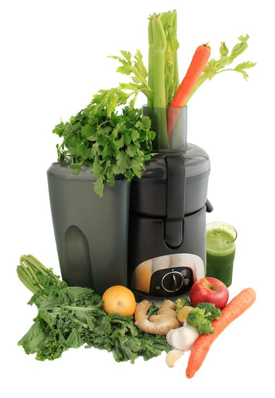 Juicing is another excellent way to cleanse, alkalize and energize the body quickly. Adding fresh lemon, ginger and greens to the juice supports liver function and helps cleanse it of accumulated toxins. The key is to eat all foods as grown. If you’re not sure, ask yourself was this produced exactly like this by Mother Nature? If not, best to eliminate it at least for the time being. Water is also a key component of detoxification and proper hydration. Drinking half your weight in ounces is a good yardstick to gauge the amount you require. 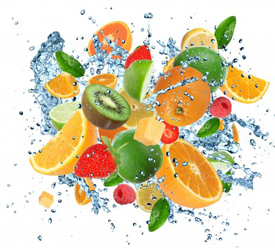 Eating foods with a high water content like fruits and vegetables also dramatically increase hydration. All blood is filtered through the liver continuously, so vigorous exercise like power walking, yoga and dancing gets the blood pumping and clears liver stagnation. I find it fascinating that there is an old Chinese saying that if you’re sad or depressed, blame the liver. Notice how your mood radically improves after a sustained period of exercise. Cleansing the body on the outside is just as important as the inside. Skin brushing is a perfect way to help slough off dead skin and improve circulation and lymphatic flow. Epsom salts baths also expedite the detoxification process and help relieve any achiness associated with it. Essential oils added to the bath also help relax and cleanse the body as well. Geranium, lavender, lemon and juniper are a few essential oils to help the clean the lymphatic system. Add 3 drops of each into the last moments of a running bath. Step in, inhale deeply and enjoy! When cleansing, all portals of elimination become active. You may notice yourself going to the bathroom more frequently. This is the wonderful power of the body to clean and heal itself. There are several herbs that help detoxify the liver. Milk thistle and dandelion tinctures can be very helpful additions to your week of cleansing. Juice all ingredients and mix well. Enjoy! It’s ideal to drink juice freshly made. Store any extra juice in a glass jar refrigerated for a few hour. Happy spring and vibrant health everyone! Thanks for the feedback. Keep up the good work! Thanks Marian, Great info. How does one with stagnant spleen chi detox as only warm foods are recommended? Hi Joanne. To address the spleen issues, you could cleanse with warm vegegtable soups with lots of ginger, cayenne and garlic or steamed food rather than raw. As the temperatures rise, you can move to more salads and juices. The warm epsom salts baths and acupuncture could help as well. Thanks for the feedback.